Corovent Eaves Fascia Trays were developed to provide a neat membrane finish preventing puddling and the risk of felt rotting. 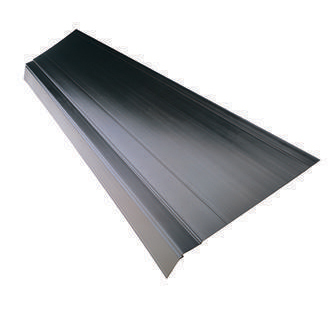 These lightweight, rigid trays support the lower edge of the underlay allowing it to be cut back short of the gutter. 1.Position the fascia tray on top of the fascia board and nail in place. 2.Adjacent trays are designed to lap over each other easily forming a continuous run. 3.The Corovent fascia tray should sit on top of the Corovent over fascia vent iffitted and the two may be fixed in place simultaneously. 4.Corovent comb fillers may also be fixed in place at the same time.